3-Axes Complex CNC Internal Grinder uses Computer-aided Numerical Controller to control the workhead (X axis),ID/OD wheelhead (W axis) and ID wheelhead (Z axis).With one time chucking action , the Grindmaster 45can perform complex and precision grinding operations, ie : internal diameter, outside diameter, shoulder grinding, taper grinder and end-surface grinding …etc. 1. Internal diameter straight grinding operation / Outside diameter straight grinding operation. 2. Internal diameter taper grinding operation / Outside diameter straight grinding operation. 3. Internal diameter straight grinding operation / Outside diameter aper grinding operation. 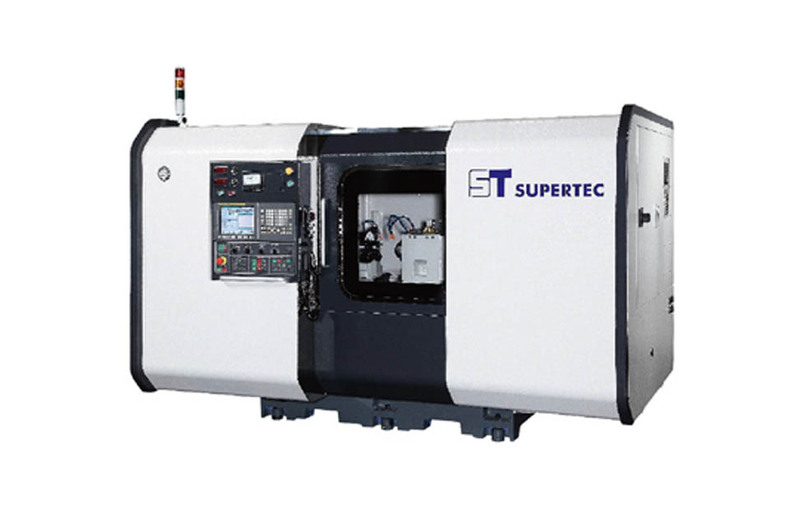 The closed-loop system design of X-axis ensure High Precision requirement for grinding operation. Further more, auto sizing devices can be chosen to reinforce accuracy performance of Grindmaster 45. Evolutional design of the W-axis swiveling function makes Grindmaster 45 meet the flexibility requirements of job shop manufacturing. * We reserve the right to madift the specifications relating to any of above machines without notice.